Good Smile Company is bringing fans of Makoto Shinkai’s hit anime film, Your Name. (Kimi no Na wa. 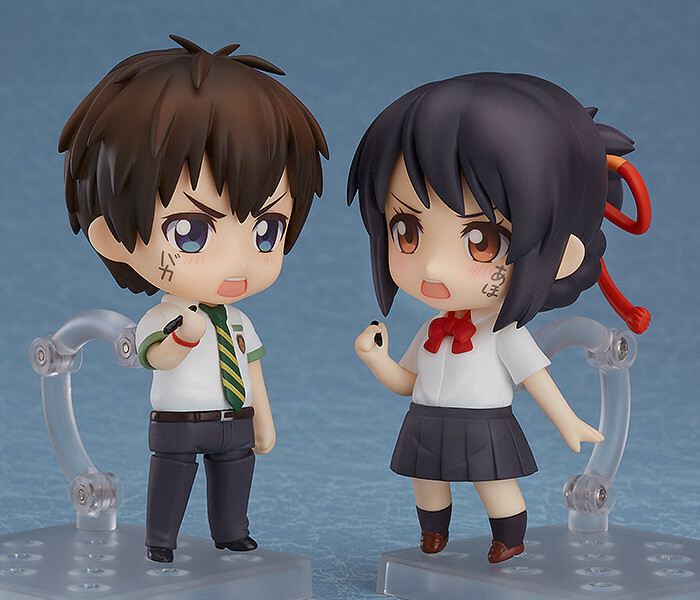 ), a pair of sweet looking Nendoroids. 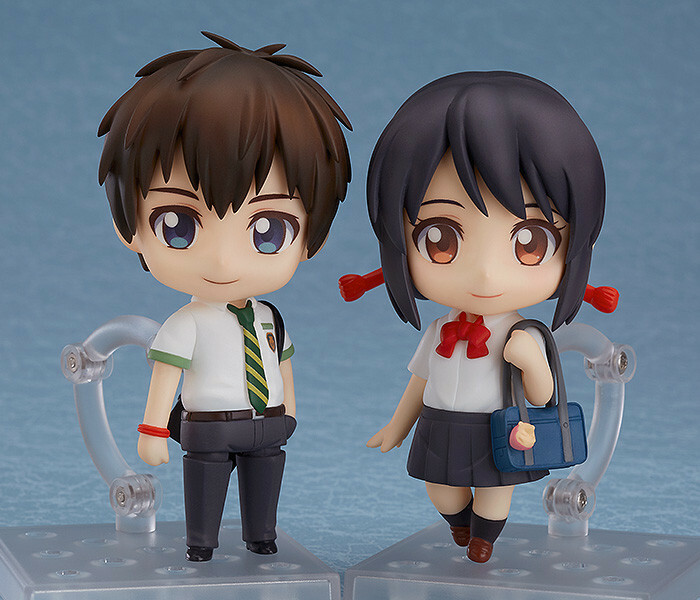 The Nendoroids will feature the protagonists of the film, Taki Tachibana and Mitsuha Miyamizu. 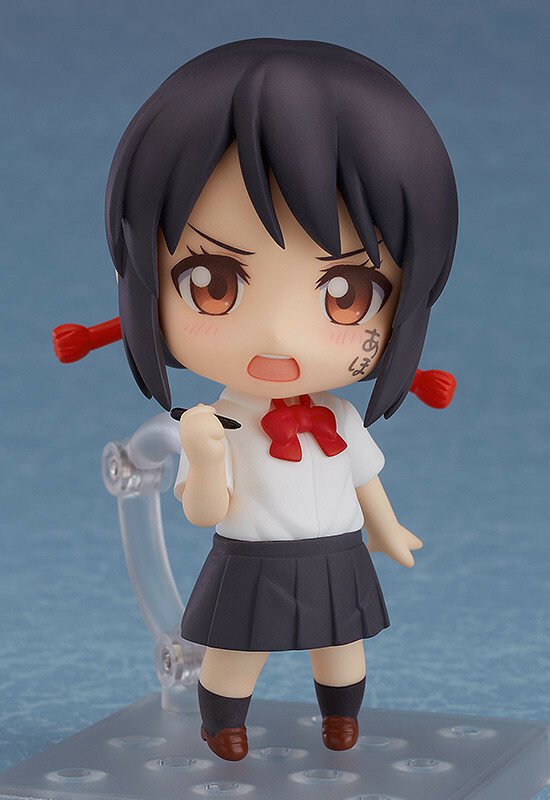 From the hit film “Your Name.” comes a Nendoroid of Mitsuha Miyamizu. She comes with two face plates including a gentle smile as well as a face with writing on her cheek. Her school bag with the hedgehog ornament on it is also included. 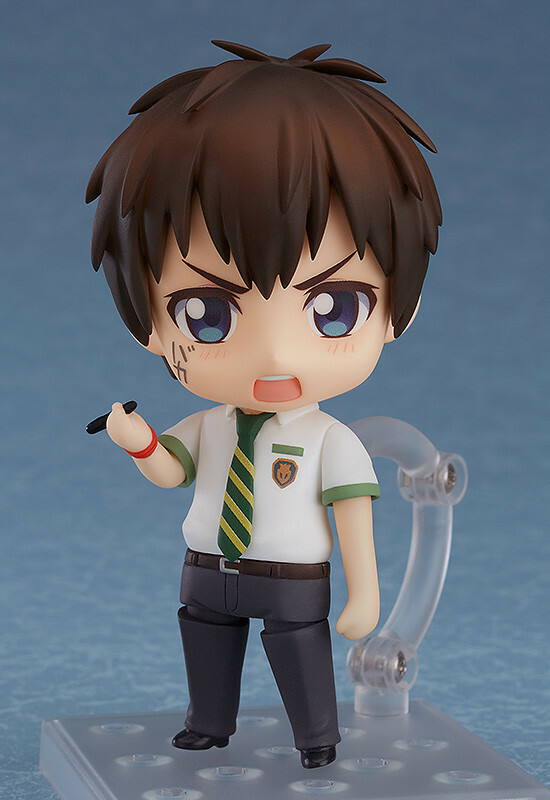 She also comes with an interchangeable hand holding a pen which ban be used with the alternate face plate to recreate the scene from the film! 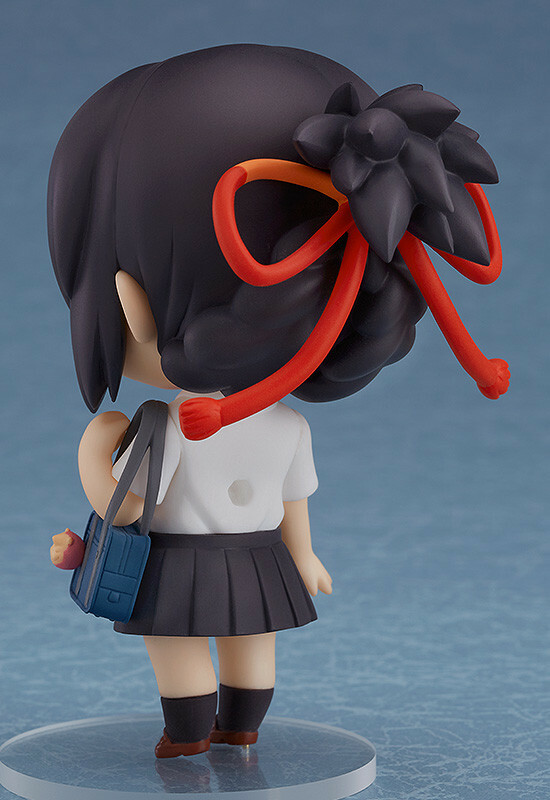 Be sure to display her together with Nendoroid Taki Tachibana who will be available for preorder at the same time! 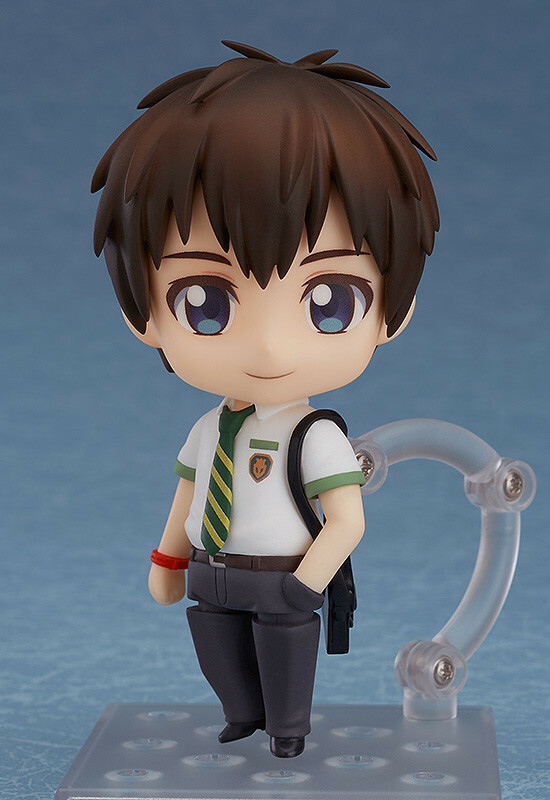 From the hit film “Your Name.” comes a Nendoroid of Taki Tachibana. He comes with two face plates including a gentle smile as well as a face with writing on his cheek. 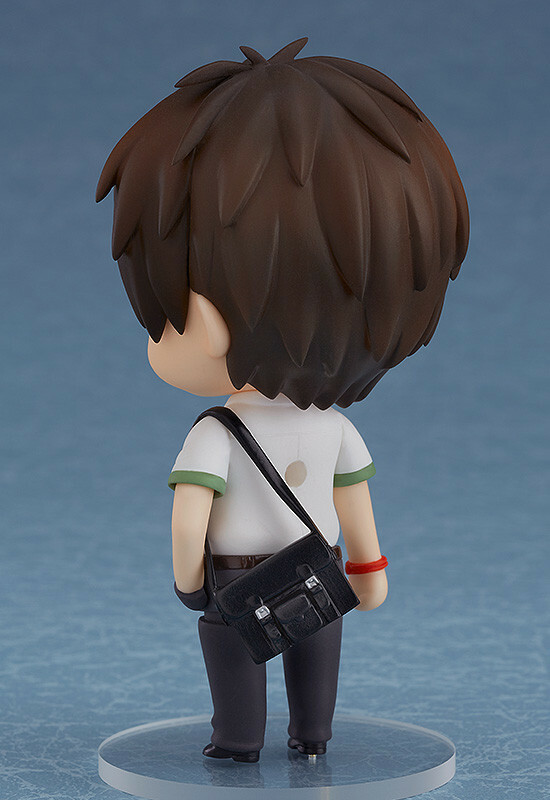 His school bag is also included, and he also comes with an interchangeable hand holding a pen which ban be used with the alternate face plate to recreate the scene from the film! 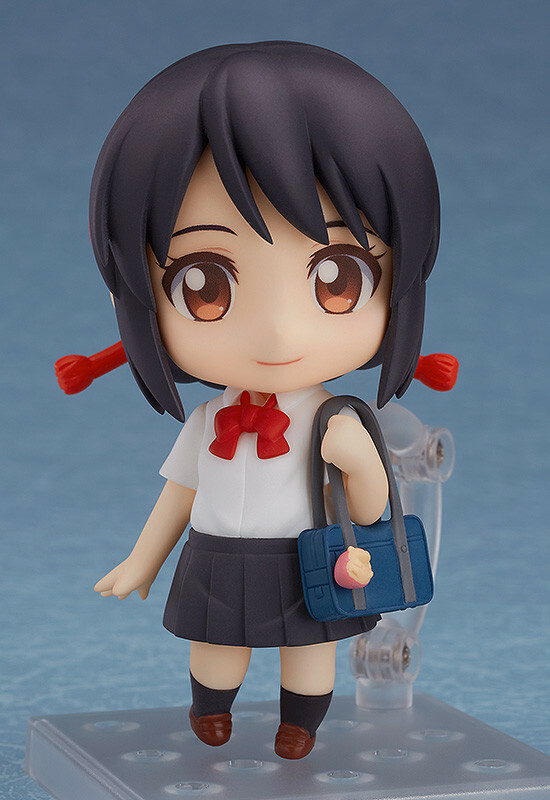 Be sure to display her together with Nendoroid Mitsuha Miyamizu who will be available for preorder at the same time! You can check out more pictures of their Nendoroids below. The Your Name. 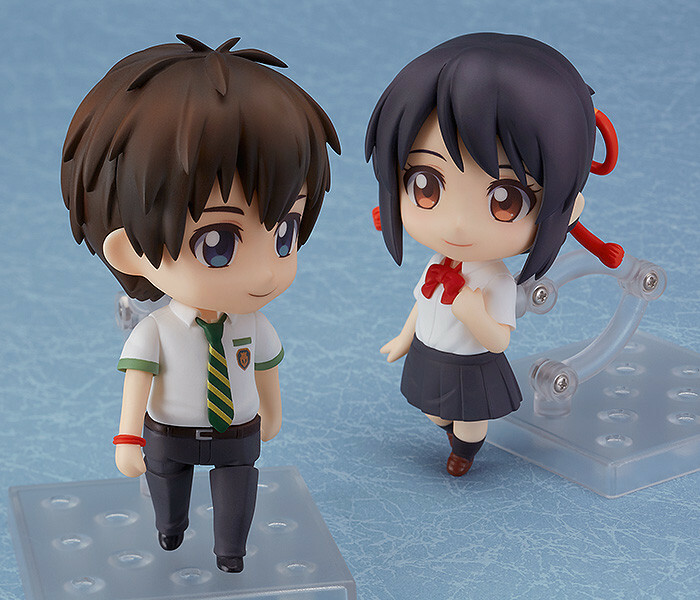 Taki and Mitsuha Nendoroids are both sculpted by Shichibee and stand approximately 10 cm tall. They are both set to release in December 2017. Are you ready to recreate scenes from this beloved film? This time in chibi form?